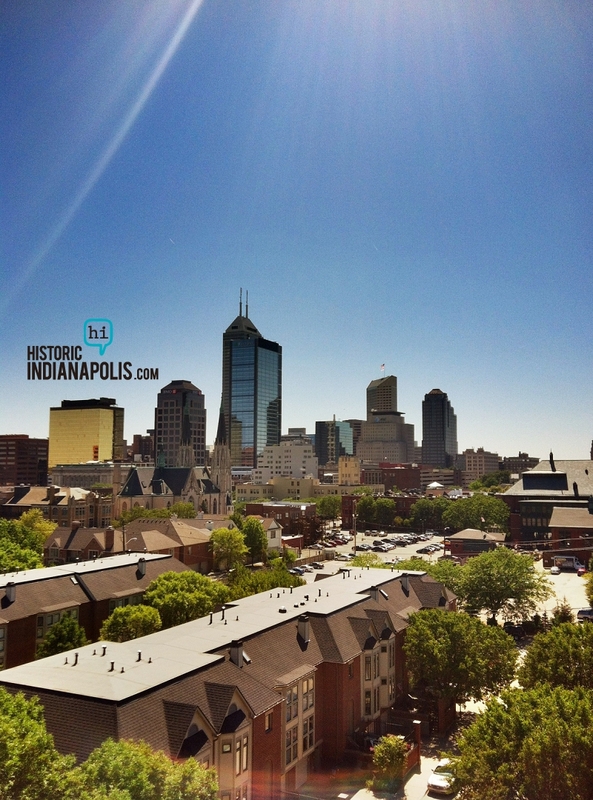 When were you last on the observation deck of the City-County Building? There’s a hodgepodge collection of Indianapolis memorabilia and newspaper clippings on the floor available for an extra dose of nostalgia. 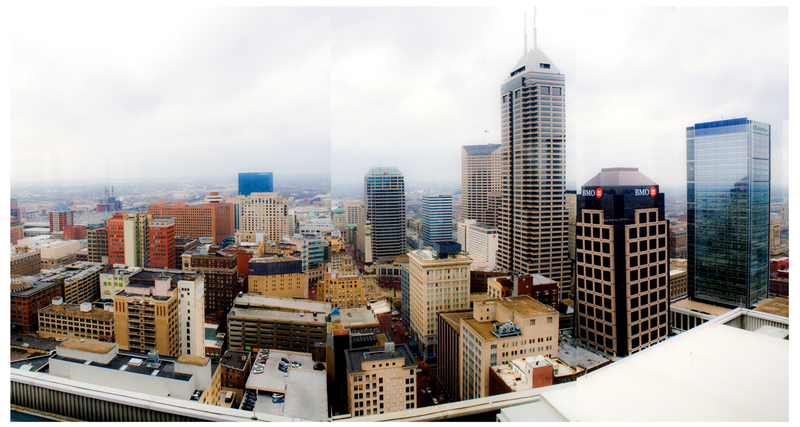 The observation deck offers a superb panoramic view of the Circle City and is staffed by the friendliest people you’ll find anywhere. 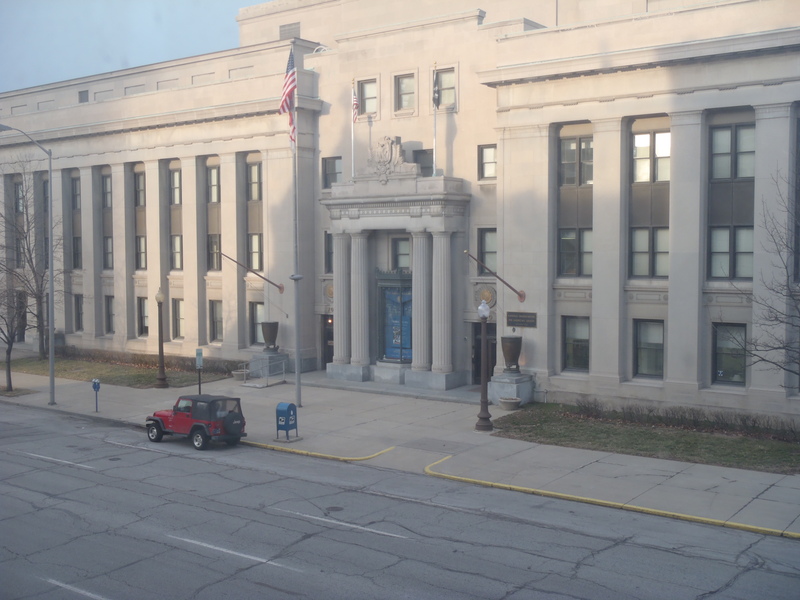 The City-County Building itself opened in 1962 and came to house what was deemed “Unigov,” a consolidation of city and county wide government proposed by then mayor Richard Lugar in the late 60’s. 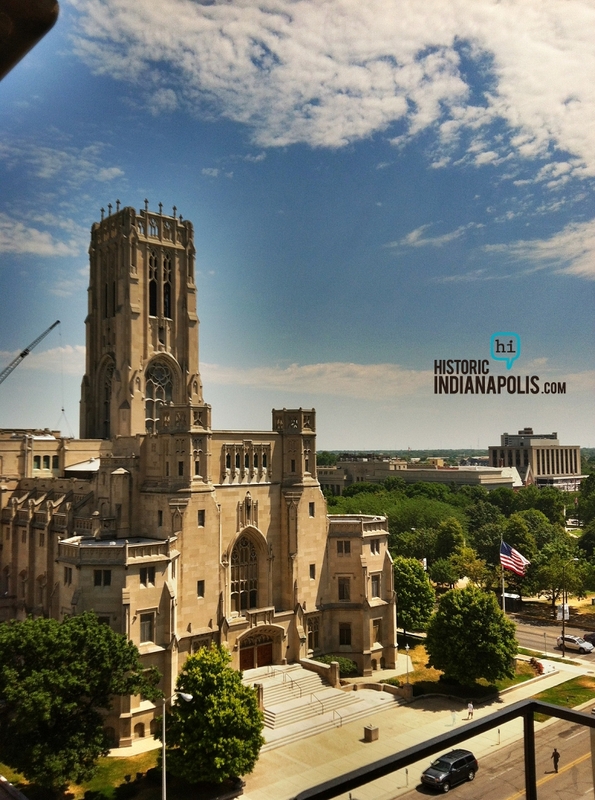 At 28 stories, the City-County was the first building in Indianapolis to be taller than the Soldiers and Sailors Monument, a title it held until 1970. 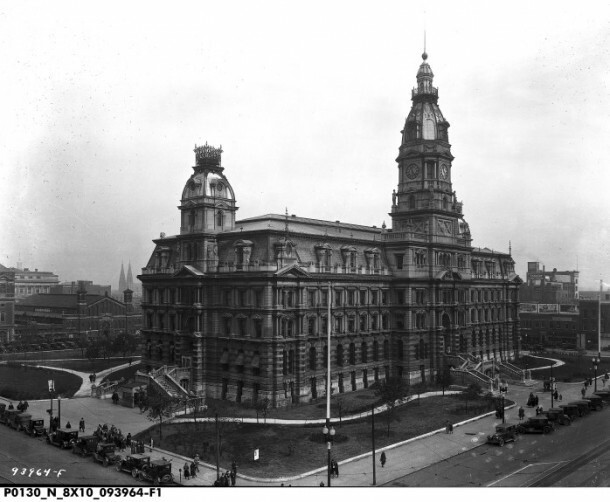 It’s construction came at a price though, leading to the demolition of the old Marion County Courthouse, seen below. Read about the link between the old Marion County Courthouse and Crown Hill Cemetery here. NextWTH Weds: Won’t you (not) be my Neighbor? Room With a View: Lockerbie Glove Company, Westward Ho! Remember both buildings too…will wish to stay with the blog! Ryan — your experience probably is very typical. How about the views from One America and Chase Tower? I can recall visiting a friend who used to be in a stock brokerage office which had more than one floor in the upper levels of the Chase Tower and walking from one floor to the other right by the windows is a bit chilling — about the worst place I’ve been for vertigo is at the Sears tower in Chicago where you can step out on plastic from the observation floor ! 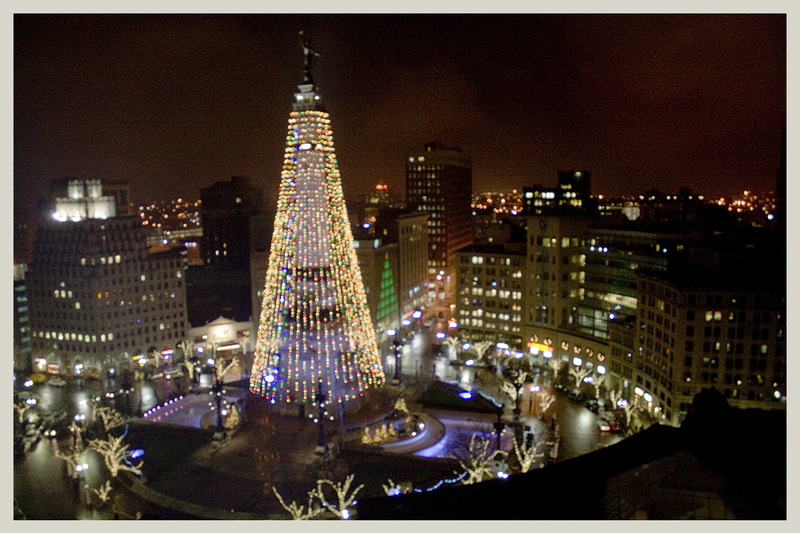 The Chase Tower is on my list, but (though this coming installment is on the Circle) I’m going to try to get outside of downtown a little bit more often. And yes, the observation bubble in the formerly Sears Tower is pretty intense.